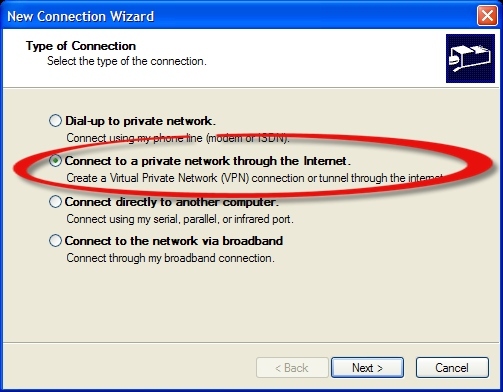 Important note: PPTP support is going to be removed in 2019. 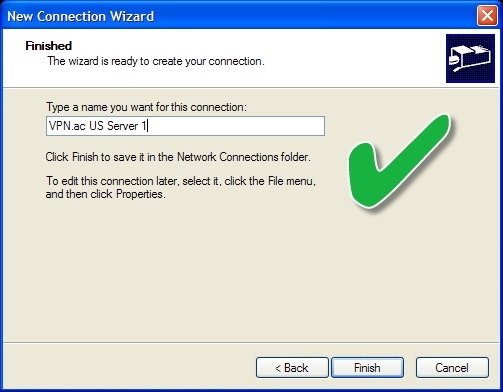 Refer to other, more secure connection types. 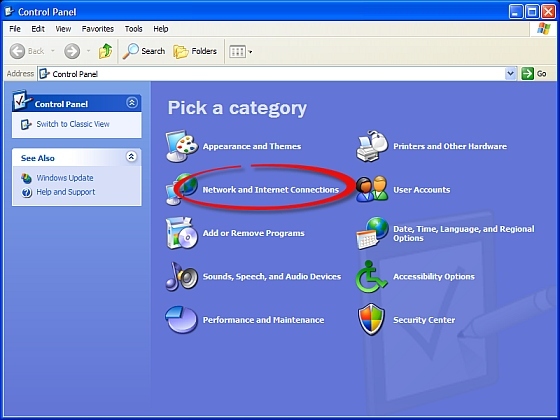 Also, Windows XP is no longer supported. 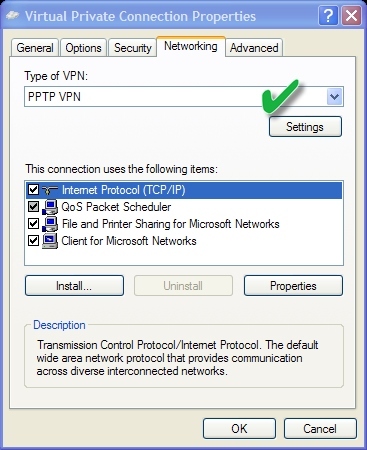 Warning: Please be aware that PPTP has been considered insecure for a few years already and we don't recommend to use it for anything sensitive. 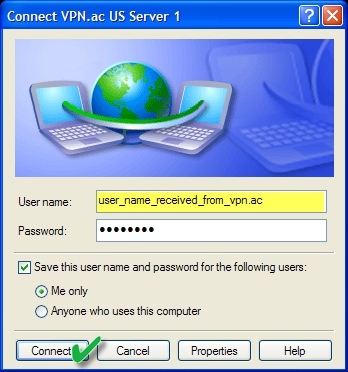 It is a good choice for geo-unblocking, but nothing else if privacy and security are top priorities for you. 7. 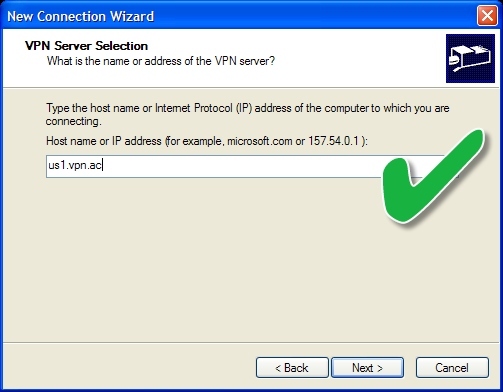 In the following dialog box, leave everything unchecked and click on the Proprieties button. 10. 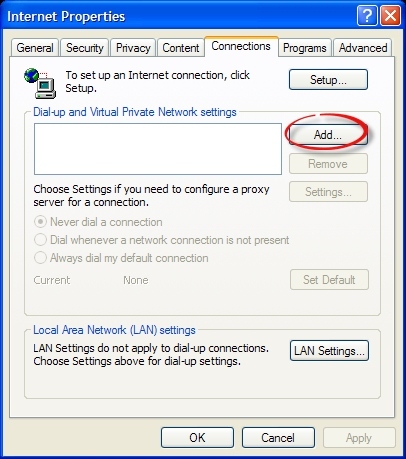 In the following dialog, select Require encryption (disconnect if server declines) from the Data encryption drop down menu. 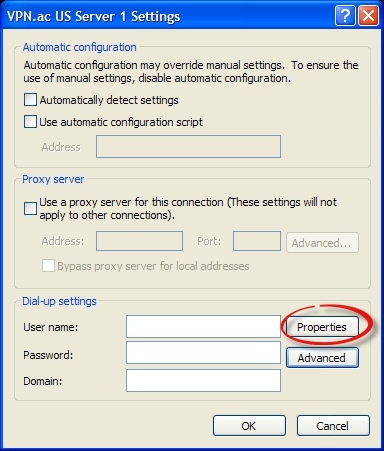 -Check the Allow these protocols box, if it is unchecked. 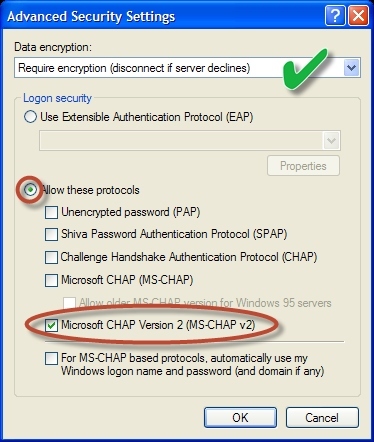 In the list under this option, make sure to check ONLY Microsoft CHAP Version 2 (MS-CHAP v2) protocol. 14. 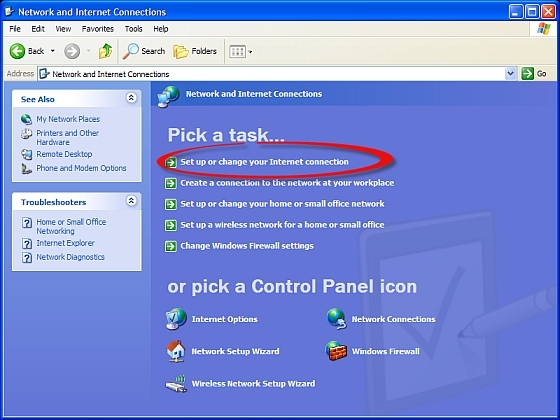 Click on the OK button twice to save all settings and go back to the Control Panel.